Garrett, a Fox News veteran of the Obama era, has served as CBS News’ chief White House correspondent since 2012. “Whether it’s reporting on presidential elections, ongoing key stories coming from the White House, or high-stakes diplomatic meetings abroad between world leaders, Major has demonstrated unparalleled precision in his reporting and skill in his writing,” Christopher Isham, vice president and Washington bureau chief for CBS News, said in a press statement. “His decades of experience have made him an invaluable member of our team – he asks questions that go beyond the surface, which result in substantive information that is useful to our viewers,” Isham added. 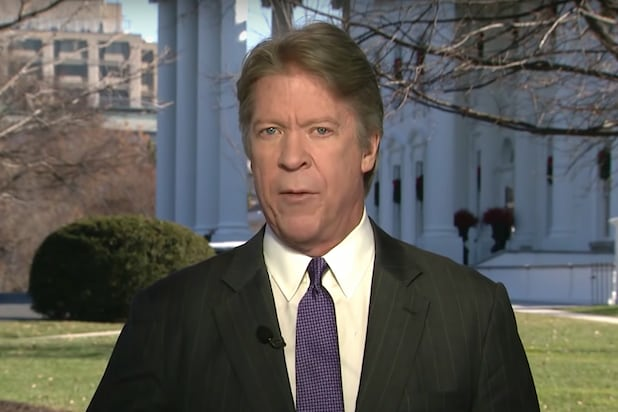 In addition to his current responsibilities, CBS News said Garrett will expand his portfolio to include enterprise reporting outside of D.C. and play a large role in the network’s coverage of the 2020 presidential election. “I have been honored to travel the country and the world covering the White House for CBS News, and I am eager to see where that privilege and responsibility takes me next,” Garrett said. Garrett is the author of four books and previously served as a White House correspondent for CNN during the Clinton and Bush administrations.